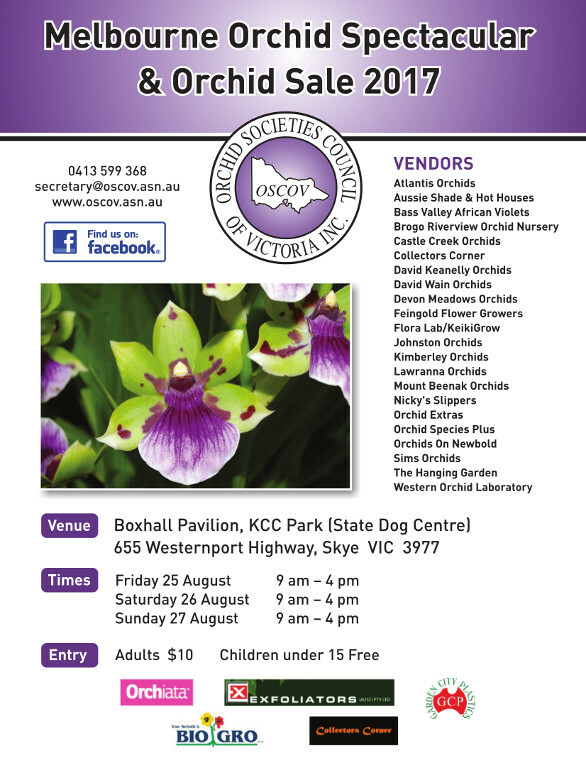 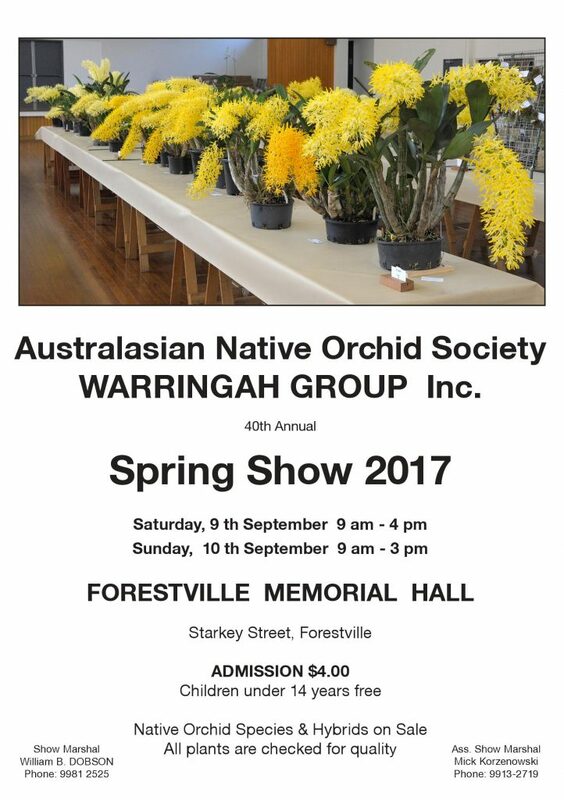 August 2017 – Australasian Native Orchid Society Inc.
ANOS NEWCASTLE SPRING SPECTACULAR Saturday – 26th August 10 am to 5 pm. 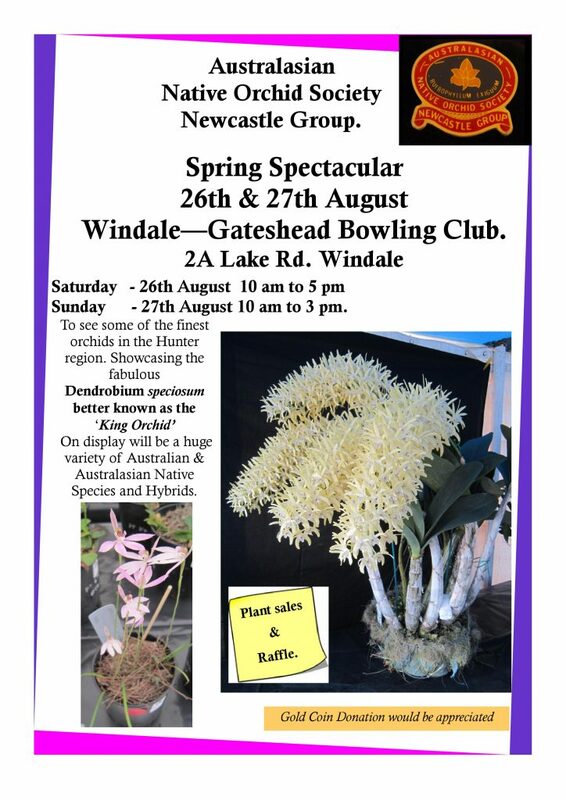 Sunday—27th August 10 am to 3 pm. 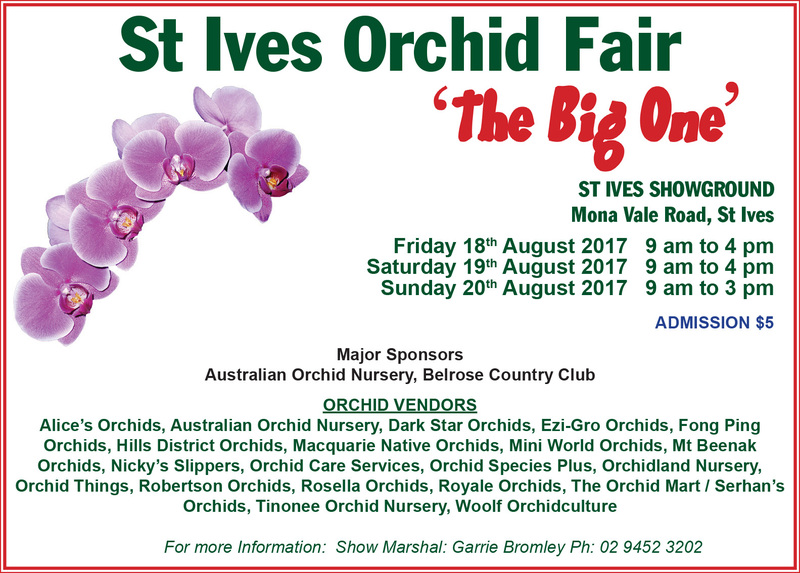 Melbourne Orchid Spectacular, Friday 25th August – Sunday 27th August 2017.